Uri: The Surgical Strike has been making its mark at the global box office. After entering the coveted 200 crore club, the movie is now sprinting towards the 250 crore mark worldwide. 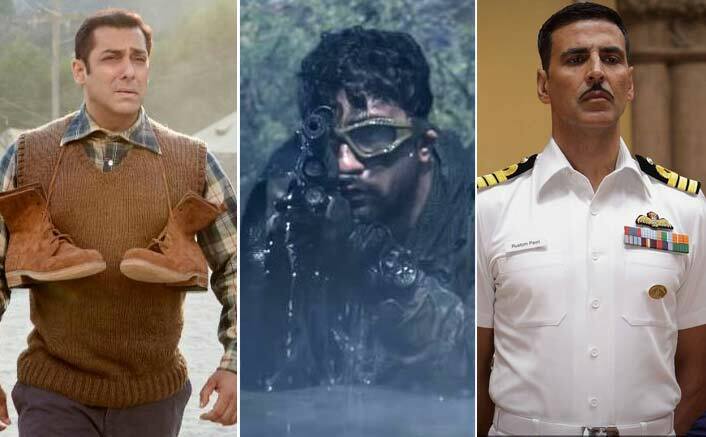 Starring Vicky Kaushal, Uri.. is not only 2019’s first hit film but with pride it has also been crowned as a blockbuster. The movie has collected 164.10 crores at the Indian box office and if you gross that amount, it stands at 193.63 crores. As far as overseas figures are concerned, Uri… is gunning all its shots worldwide. It has bagged around 35 crores taking the grand total (gross) of the movie to 228.63 crores. The movie has surpassed notable films such as Tubelight (223.24 crores) Badhaai Ho (218.82 crores), Rustom (218.80 crores), M.S Dhoni – The Untold Story (217 crores), Judwaa 2 (216.61 crores) and many more. It’s all set to cross Airlift (231.60 crores), Jab Tak Hai Jaan (241 crores) and more. Here’s what an upset Akshay Kumar had to say when he was asked about proof of surgical strike post Pulwama attacks!